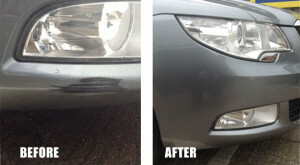 PMC of Pinner has a body shop providing the full range of car body repair services. Our team of specialists are highly experienced and work hard to achieve high quality workmanship in our purpose built body shop. Whether it’s a small scratch, scuff, sun damaged paintwork or full bodywork accident repairs; we can do the job thoroughly to ensure that the paintwork finish is of an exceptional standard. We undertake all types of insurance work. Please note, that if your car is damaged, you are not obliged to use your insurance company’s suggested repair centre, the choice is yours. Choose PMC of Pinner, it’s a name you can trust. 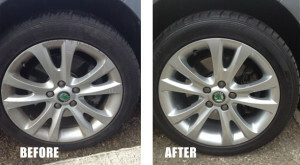 We also undertake all types of repairs as we have the skills and facilities to transform your vehicle whether it’s an accident damaged or just tired and worn out, we can make it look good again. We can fully restore your car bodywork repair including crash repairs, panel beating, welding and rust removal, at very competitive rates. We are a one stop shop providing all your bodywork needs, so to arrange for your vehicle to be repaired or for a free estimate, call PMC of Pinner now on 020 8868 0088. We are happy to give you a free estimate and look forward to restoring your car to pristine condition. Very happy with the job they did for my Honda Civic. The car even looks better before the accident. I would say every penny was well spent and the time they took to repaired it was quick too. I'll definitely use the service again and refer it to my friend. Been coming to the guys at PMC, cannot fault them all, very courteous and efficeint. Walked through the door my keys got taken Highly recommended. Everybody was very helpful and i would be happy to use them again. Just came in for na MOT this time but would me happy to try them for a service. Excellent service. Helpful and honest advice. Prompt attention and helpful staff. I will be using them again. I would say overall excellent. Prompt service. The bonus is its local! One of the best garages I have come across with. They look after my car with great care and courtesy. Very Pleased with the work and service the guys at PMC provide.